Welcome to Taichitao.tv. We've put together a few of our more basic videos for you in this section. 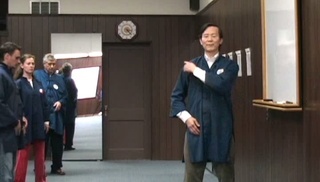 Since most of our videos are part of live classes filled with students at all levels of Taichi learning, our beginner materials will seem a bit different than other courses you've experienced. Don't worry, you'll feel comfortable in no time. We recommend you listen and follow along as best you can. Don't worry if you can't do a form perfectly or are unsure of specific details on a given form. As you progress through the videos, you'll pick up more and more information to help you correct and enrich your form. This section also includes encouraging talks that answer common questions, such as "Why do we move so slowly?" or "What can I expect to feel as my Chi gets stronger?" Videos cannot substitute for a real class or instruction from a qualified master. 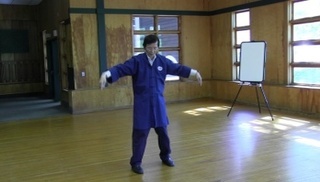 We encourage you to attend one of our seminars or make a point to visit the Taichi Tao Center in Oak Park, Illinois, or enroll in a local Taichi class to help you on your journey.